Shabby Apple is an online dress boutique that specializes in vintage and retro dresses. As I look through their site I always see beautiful, unique dresses and its always hard for me to choose a favorite one. 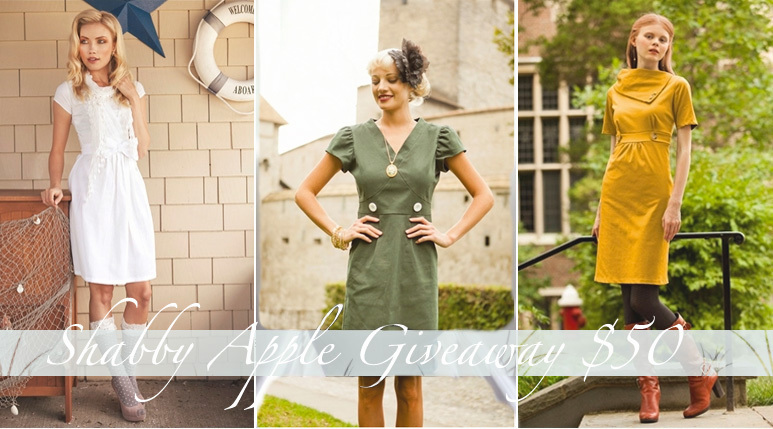 And lucky YOU, today Shabby Apple is giving away to one reader $50 to their shop! So now its your turn to browse through their site and see what they have and pick out something for yourself! To enter follow the instructions below! I wish you luck!